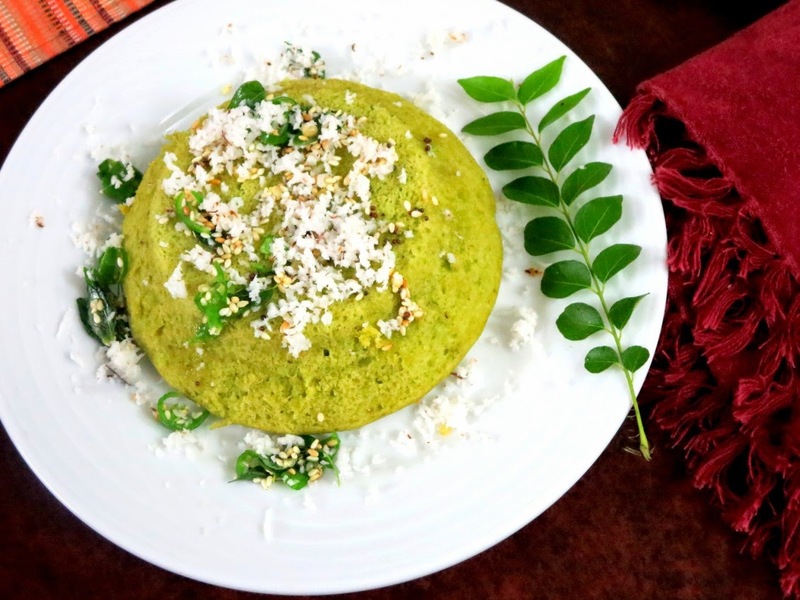 For the second day of BM#43, week 1 under Dhokla, I made this delicious and beautiful looking peas Dhokla with Moong dal. Though the recipe says you should soak the split moong dal for 4 hrs, this split dal actually gets very soft even with 30 mins. So when you want to have a quick dish on hand, this suits so well. I never expected this to turn out so good, I was so taken in by the taste and this has become been added to our must make again easy dishes. This dish also uses very little oil, almost just a teaspoon or 2, this falls under oil free breakfast. Boil peas and keep it aside. Wash and soak moong dal for 4 - 5 hours. Rinse and drain the excess water. 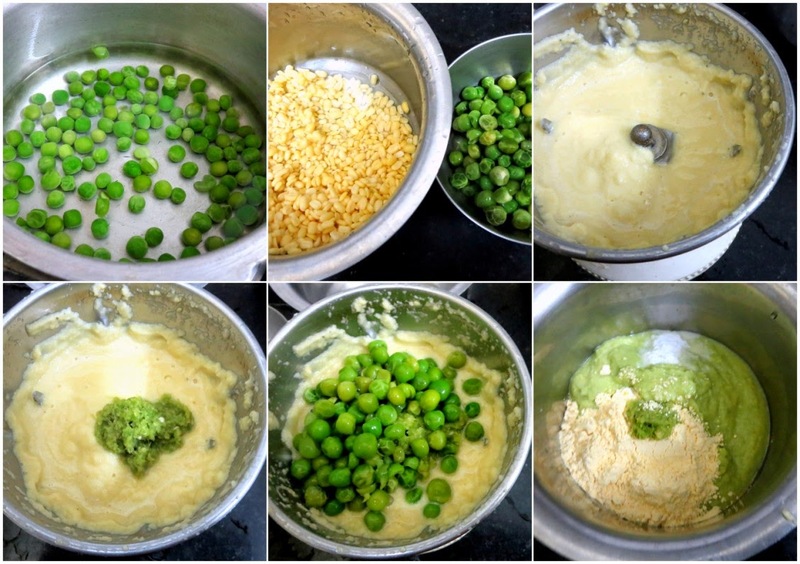 Grind soaked moong dal with peas, ginger and green chillies to a fine paste. Transfer to a bowl and add gram flour, sugar, salt, cooking soda, oil and mix well. Have a cooker pan with water and the plate on heat. When the water starts to boil, add frothy batter to a greased bowl, place on the cooker pan plate. Cover with lid without the whistle. Cook for 15 - 20 mins on sim. 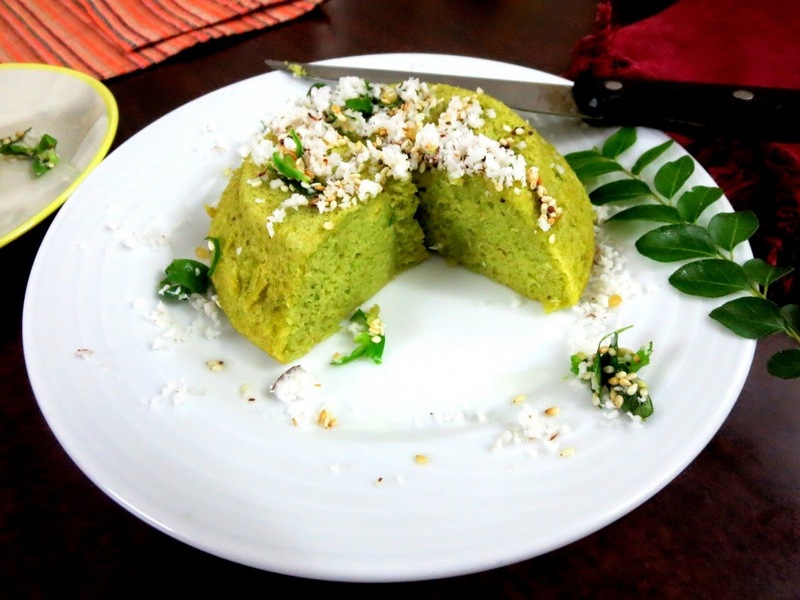 Cool it a bit and run a knife in the edges and carefully un-mould the dhokla onto a plate. Heat oil in a small pan and put in the mustard seeds, sesame seeds. Allow them to crackle. 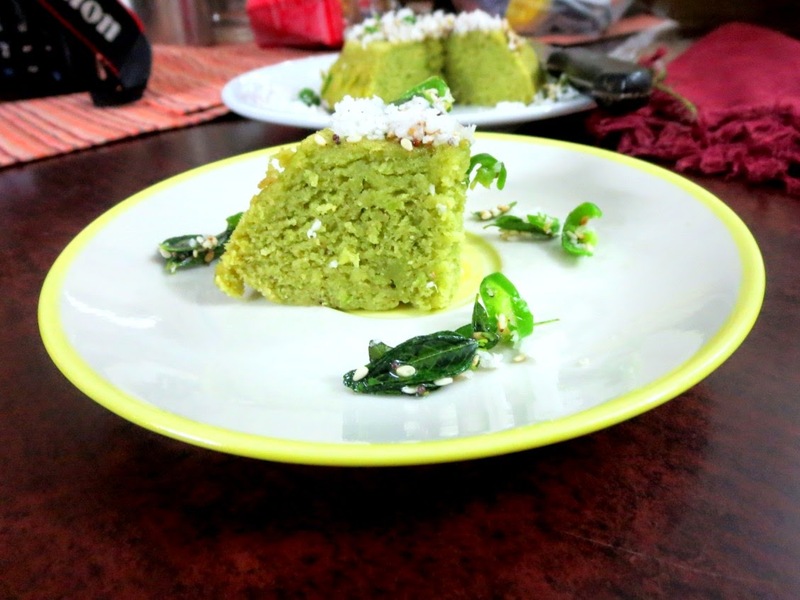 Add green chillies, curry leaves and fry until the chillies turn colour and spread the seasoning over the dhokla. 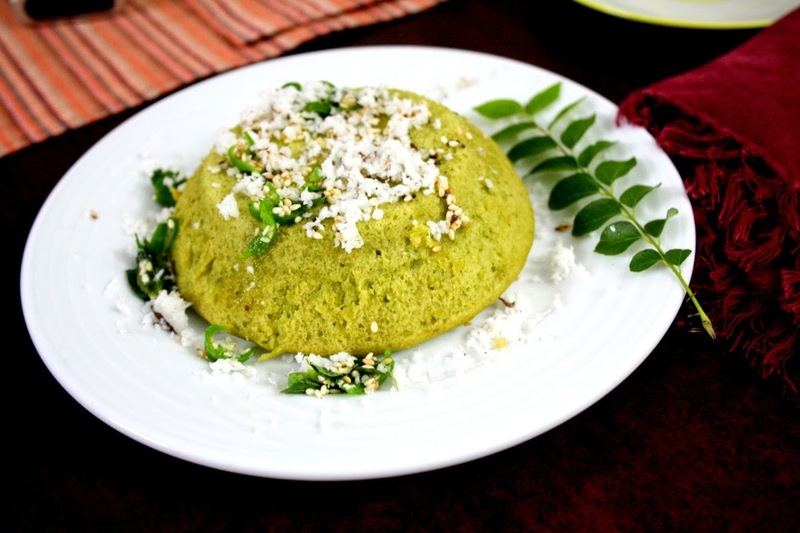 Garnish with coriander leaves and grated coconut. Cut into squares or triangles of required size. I added green chilies, ginger paste. However you can add all these along with peas and grind. You can add turmeric powder to the batter before steaming. For tempering you can add red chilies instead of green chilies as well along with hing.